Plaid Blanket Scarves Just $12.95! Down From $25! PLUS FREE Shipping! You are here: Home / Instagram / Plaid Blanket Scarves Just $12.95! Down From $25! PLUS FREE Shipping! Until October 1 only! 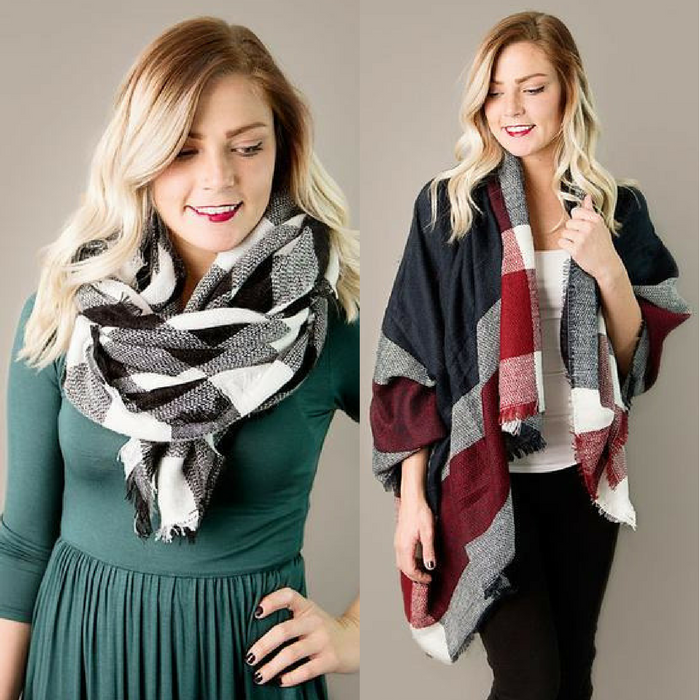 Cents Of Style is currently offering these beautiful Plaid Blanket Scarves for just $12.95 down from $24.95 when you use promo code FALLBLANKET PLUS FREE shipping! Plaid is the pattern of the season and there’s no better way to wear it than in the form of a fantastic blanket scarf! Available in wide array of beautiful color combinations, pick out a few for yourself, your sisters, your mom, and your best friend. These scarves will accompany you as your run your daily errands, meet up with your best for lunch, or catch a movie with your man.